This entry was posted in Video of the Day on October 17, 2010 by Michael Happy. Cross-posted in the Denham Library here. Piping de Pouxi. Trans. Chen Hui, Yuan Xianjun, and Wu Weiren. Tianjin: Baihua Literature and Art Publishing House, 1998. Piping de Jiepou. Trans. Chen Hui, Yuan Xianjun, and Wu Weiren; revised by Wu Chizhe and annotated by Wu Chizhe and Robert D. Denham. Tianjin: Hundred-Flower Literary Press, 2000. Fulai Wenlun Sanzhong [Three of Frye’s Critical Monographs]: Xiangxiangli de Xiuyang, Chuangzhao yu Zai Chuangzhao, Wenlian de Pipingjai (Trans. Xu Kun et al., rev. with a preface and annotations by Wu Chizhe. Hoh‑Hot: University of Inner Mongolia Press, 2003. Xian dai bai nian. Trans. Sheng Ning. Shenyang: Liaoning Educational Press; Hong Kong: Oxford University Press, 1998. P’i ping chih lu: Lo-ssu-lo pu Fu-lai chu. Trans. Wang Fengzhen and Min-li Chin. Beijing: Peking University Press, 1998. Wei da de dai ma: Shengjing yu wen xue. Trans. Hao Zhengyi, Fan Zhenguo, and He Chengzhou. Beijing: Peking University Press, 1998. Shenlide Yuyan: Shengjin yu Wenxue Yanjiu xubian. Trans. Wu Chizhe. Preface by Ye Shuxian. Beijing: Social Sciences Documentation Publishing House, 2004. 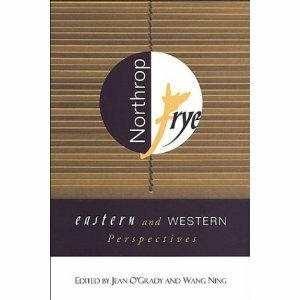 Nuosiluopu Fulai Wen lun xuan ji [Northrop Frye: Selected Essays]. Ed. Wu Chizhe. Beijing: China Press of Social Sciences, 1997. This entry was posted in Bob Denham, Denham Library, Frye and Contemporary Scholarship, News on October 17, 2010 by Bob Denham.